MicroMac's new iDEC-Zip for the iMac computer connects a fast external Zip drive to the iMac. 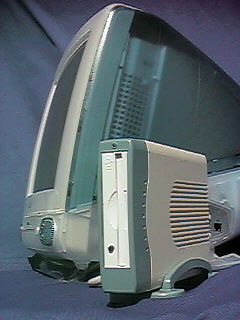 The revolutionary iDEC technology adds a fast 4MB/s external port to the iMac. The iDEC-Zip connects with a single connector to the iDEC and achieves its high performance through parallel data transfer. iDEC Technology: The iDEC technology adds a new port to the iMac. 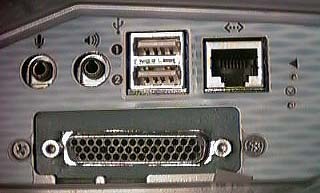 The iDEC features a 44-pin connector installed in the expansion slot cover of the iMac. This connector carries both the power and the data to the iDEC-Zip. iDEC-Zip: The external iDEC-Zip is connected with the iDEC cable to the iDEC interface in the side of the iMac. The iDEC Zip can be used for data transfer, back-up and data storage. Finally, a removable drive on the desktop: The iMac desktop shows the hard disk drive and the iDEC-Zip. Performance: iDEC easily achieves a data transfer performance of 4MB/sec. 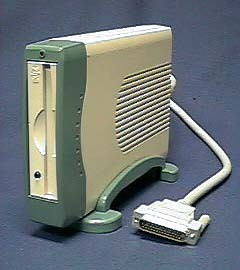 In fact, the port is as fast as the internal hard disk drive. External USB drives, once available, will be limited to the maximum limit of 1.2MB/sec of the USB specification. The iDEC technology is 300% faster than any USB drive.